Using them on a number of different surfaces will give an indication of how robust and flexible the pens are in different types of art. Markers (felt tip) – allows for broader coverage of colour, however there is a risk of the marker drying out faster. Can also get clogged if used over other art materials that are not completely dry. The pens we are testing in this post include the following. We’ve included an Amazon (affiliate) link if you wish to purchase these pens. The pens were tested in 4 different ways: cardstock, on watercolours, on acrylic paint, and on gesso. All of the pens had no problem writing on top of each of the surfaces (cardstock, watercolour, acrylic paint, gesso). The gelly roll is probably the most versatile as you can use it for smaller line work as well as thickening up lines. The fude ball pen is inkier than the gelly roll, however, sometimes the nib is a little too thick for some thin line drawing. The fude ball pen writes over rough surfaces better than the gelly roll pen, however, it does have a longer drying time than the gelly roll pen. 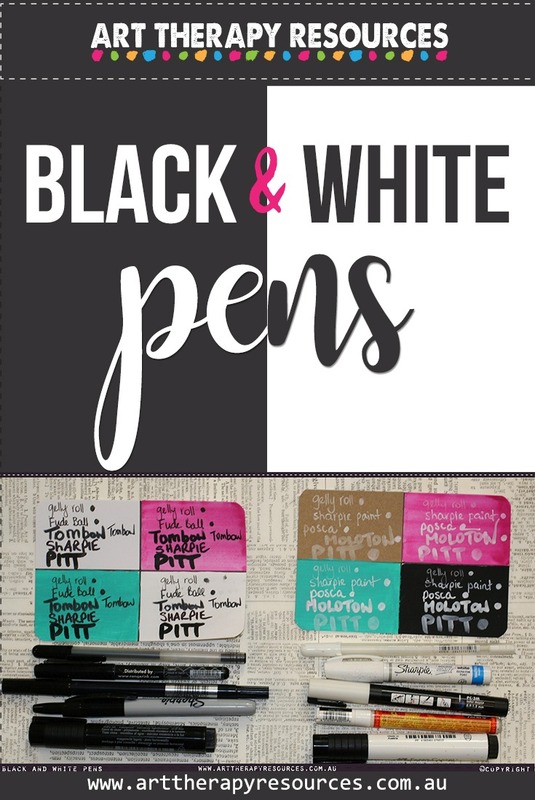 The pitt pen is great for large sections of colouring or writing large words. Faber Castell states the pens are waterproof, however it takes some time for them to dry as they are highly pigmented. If you’re using them in artwork, be careful with water around them until the ink is completely dry. The tombow pen has a nice brush type nib for calligraphy, however, I think the Pitt Brush Pen is a much nicer pen to work with and has a nicer ink flow. 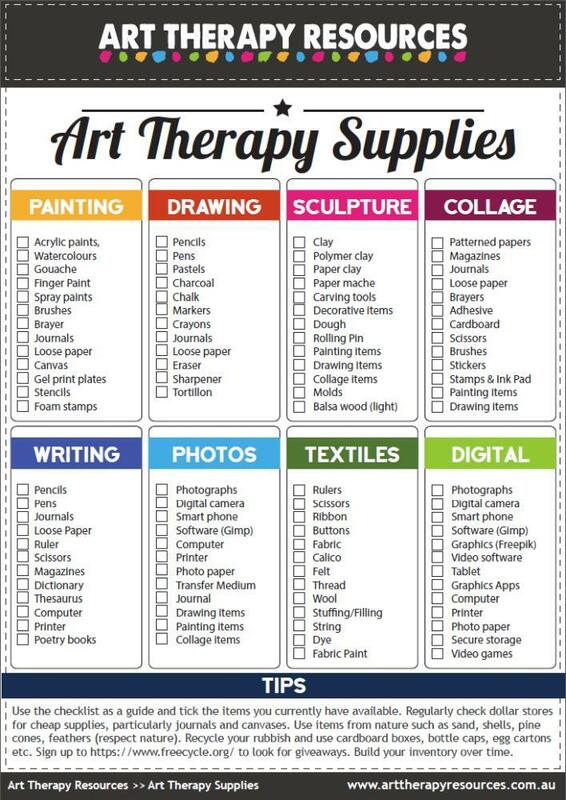 *My recommended purchases would be the Gelly Roll and Pitt Big Brush. They are the most consistent for ink flow, coverage and overall use across all surfaces. The pens we are testing in this post include the following. We’ve included an Amazon (affiliate) link if you wish to purchase these pens. 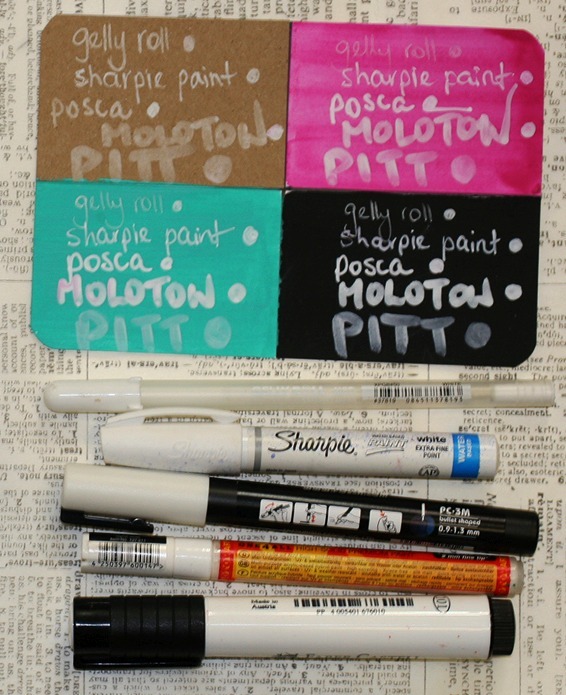 The pens were tested in 4 different ways: cardstock, on watercolours, on acrylic paint and on gesso. Most of the pens worked on the various surfaces (cardstock, watercolour, acrylic paint, gesso). The Molotow and Pitt Big Brush pens were the two pens that didn’t work as well across all surfaces. The Pitt Big Brush pen didn’t work very well on any surfaces unfortunately which is surprisingly given how good the black pen of the same brand works. 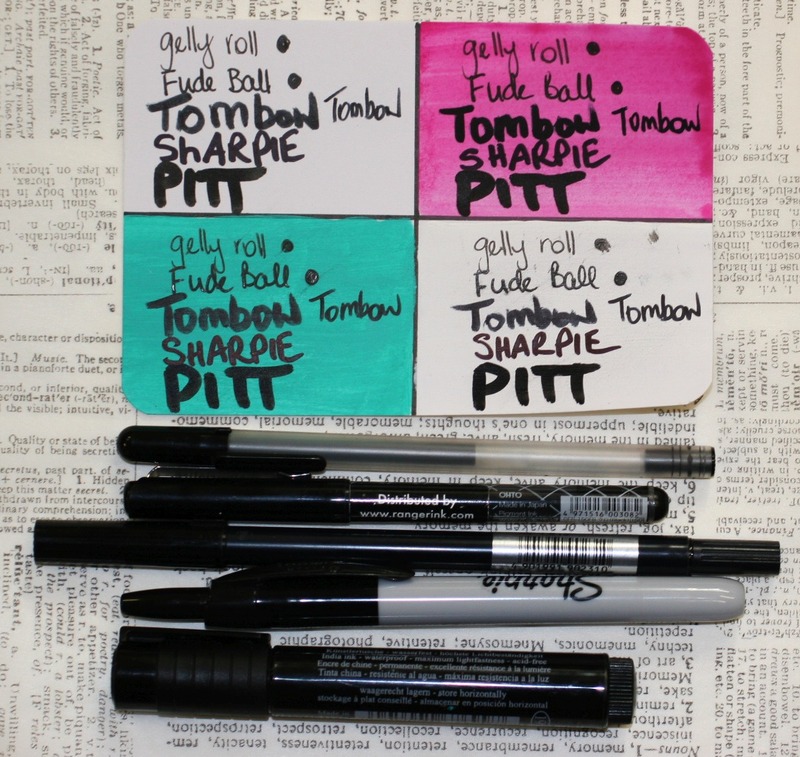 The sharpie paint pen is a great pen that works well across all surfaces and comes in a range of sizes. However, it can sometimes be unreliable in terms of keeping the paint/ink from flowing. The Uni Posca pen was the easiest pen to use across all surfaces. The gelly roll is great for fine line work and works well across all surfaces. The watercolour surface is where the pen struggled to flow. *My recommended purchases would be the Gelly Roll and Uni Posca. They are the most consistent for ink flow, coverage and overall use across all surfaces.